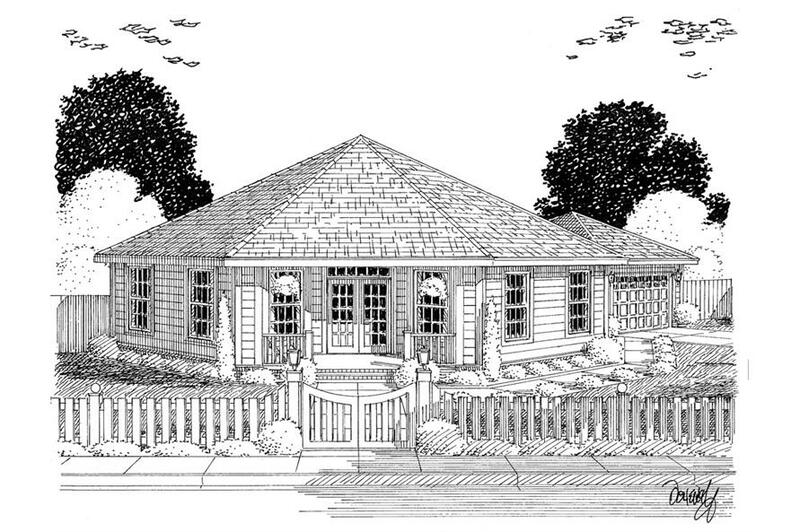 This Ranch-style house plan is sure to leave an impression on anyone. 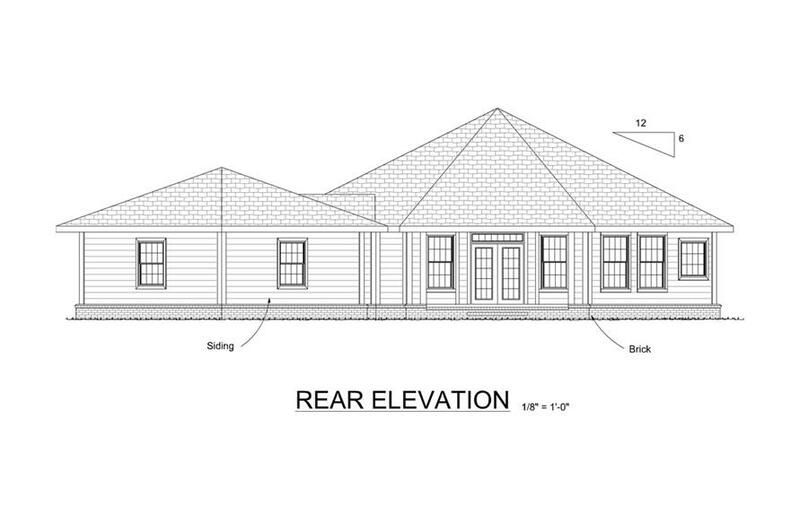 Enter the home plan from the covered front porch, and step into the foyer. From the foyer, you have immediate access to the master suite. Enter the suite into the spacious master bedroom. From the bedroom you have access to his-and-her walk-in closets. Continue right into the ensuite bathroom, which has a split design and features dual sinks and a large soaking tub. Continue into the home plan from the foyer, and step into the large great room, which features elegant 14-foot-tall ceilings and a built-in fireplace. The open concept of this floor plan allows the great room to flow into the kitchen and dining room. The rear of the great room turns into a rear foyer, which features French doors that open to the rear porch. 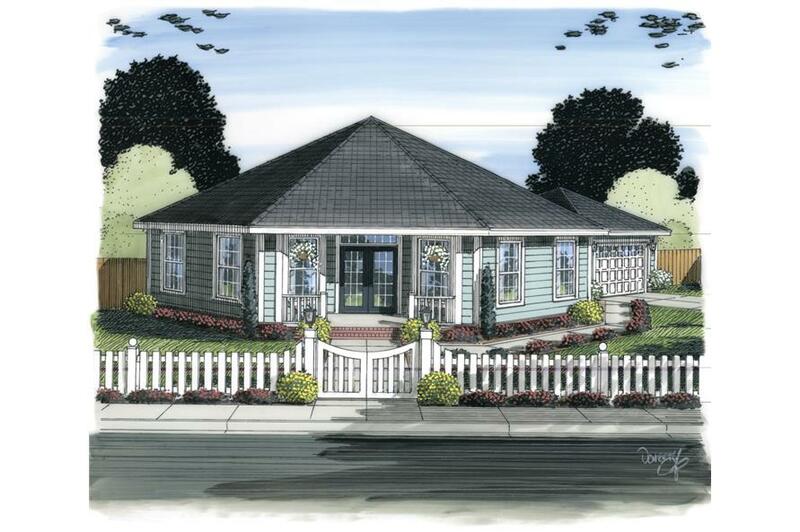 The house plan's kitchen features a great L-shape design with ample counter space. The kitchen also features a large, central island and peninsula with a built-in eating bar, whihc overhangs into the great room. From the kitchen, you have access to a hallway that leads to the large walk-in pantry, the main-floor laundry room, and the two-car, side entry garage. Back in the great room, you have access to a hallway that leads to two bedrooms, split from the master suite. Both bedrooms have great 9-foot-tall ceilings and share a bathroom in the hallway. One bedroom features a walk in closet, while the other has a large reach-in closet.